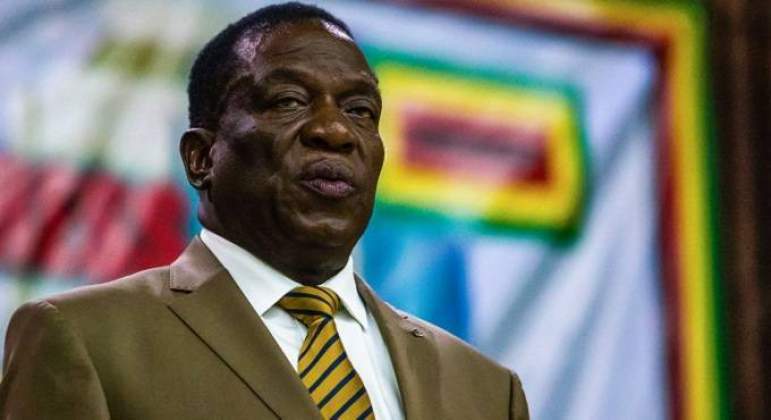 A THREAT of an internal revolt and possibility of a military-led ouster reportedly forced President Emmerson Mnangagwa to cut short his foreign jaunt and return home, as his close allies - ministers and legislators - were being targeted, NewsDay reported. Mnangagwa, who stands accused of ineptitude. "They threatened to kill me and harm my family. I stand by ED Mnangagwa and wish they know ours isn't just a political relationship. However they try, we will never quit nor be intimidated. The plot is foiled, they lack numbers for impeachment and the devil isn't [Prof Jonathan Moyo], but amongst us," Wadyajena tweeted. "My tweet is very clear, it is public," he said. "I am busy, I am sorry I can't talk," Ziyambi said. "I am safe, but watching the situation from a safe hiding," Mukupe said. The plot, according to insiders, was "heavily funded by some businessmen who even professed to be his close allies and have been funding his administration, albeit for selfish ends". Zanu PF senior leaders and high-ranking military officials were involved in the violent protests, which included looting, killings and public violence. "Low-ranking soldiers are not happy with the state of the economy. They feel like Mnangagwa has been lining up his people to benefit at the expense of the ordinary people who stood by him at the time of need. The junior officers also feel that ED has maintained his 'Chinhu Chedu' (our thing) idea in appointing key people in his administration and his family is amassing wealth at a faster rate compared to what we saw under Mugabe," a senior Zanu PF official said. "I got intelligence that some of those who have won these primary elections have two minds. They have gone to join the Zanu PF wagon using various tricks, money included, to be elected with a possible view that once in Parliament, they will band together and move a motion of impeachment," Mnangagwa said then. "How does factionalism relate to fuel? I don't know, maybe ask him more [Justice Wadyajena, who took to Twitter with a similar claim], he might give you details," Khaya Moyo told journalists.